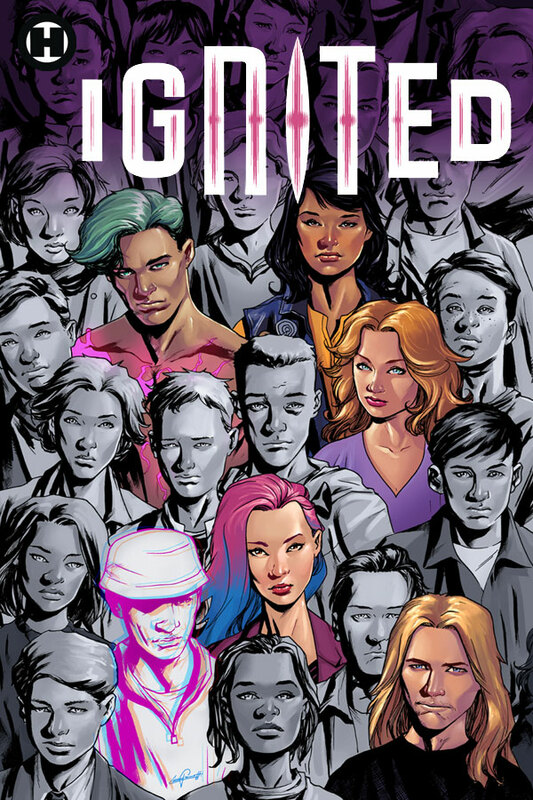 Welcome to the H1 Universe and Ignited, Humanoids’ first ever ongoing super-powered series-brought to you by an explosive team: writers Mark Waid (Kingdom Come) and Kwanza Osajyefo (Black AF), and artist Phil Briones (Aquaman)! It’s the first day back at Phoenix Academy High, but this year there’s no back to school excitement in the air as returning students and faculty are haunted by memories of last year’s horrific attack. So many friends and colleagues were lost, and some of those who survived underwent changes; they Ignited, gaining supernatural abilities they barely understand. Little do they know this is just the beginning!